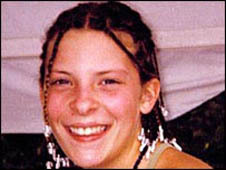 A 40-year-old man has been arrested by detectives investigating the murder of 13-year-old Milly Dowler in 2002. Her body was discovered on Yateley Heath, Hampshire, six months after she disappeared on the way home from school in Walton-on-Thames, Surrey. Surrey Police said the man was being questioned over the disposal of a red Daewoo Nexia car seen in the area. It is understood the man, from west London, is not suspected of having direct involvement in the murder. A spokeswoman for Surrey Police said: "A 40-year-old man from West London was arrested by Surrey Police at 10am this morning after voluntarily attending a police station. "He is being questioned about the potential disposal of a red Daewoo Nexia car, which police have appealed for information about as part of their investigation into the murder of Milly Dowler." It is understood that detectives want to question the man about what happened to the car, which is part of the ongoing unsolved murder investigation. Police have indicated the man is unlikely to be charged with any criminal offences on Tuesday. 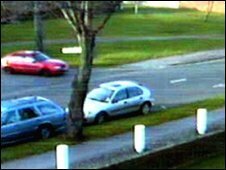 The car was captured on CCTV in Walton-on-Thames minutes after Milly, whose real name was Amanda, disappeared. 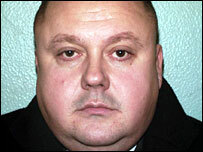 Convicted killer Levi Bellfield, who was last year jailed for the murder of two young women in London, has since been linked to the Milly Dowler case. It followed fresh appeals by detectives in 2008 to trace the red Daewoo Nexia. It later emerged that a car of the same model and colour was owned by Bellfield's then-girlfriend, Emma Mills. Bellfield was given a "whole life" sentence after he bludgeoned Amelie Delagrange, 22, and Marsha McDonnell, 19, when they got off buses in south-west London. He was also found guilty of trying to kill Kate Sheedy, then 18, in 2004 and was named as a prime suspect in the Milly Dowler inquiry. The former nightclub bouncer and wheelclamper, now 41, was arrested and interviewed over the teenager's death four years ago. In a newspaper interview this year, he admitted driving his girlfriend's car on the day Milly disappeared. The car was reported stolen from a pub car park in Hounslow, west London, several days later, and was not seen again. In their hunt for the vehicle, police searched 35 miles of waterways and 40 other water sites, including reservoirs and lakes in Surrey and neighbouring counties. Detectives suspect it could have been crushed by a scrap dealer. A similar red car also featured in another investigation, into a case in which a 12-year-old schoolgirl told police a man in a red car offered her a lift home in Shepperton, near Walton-on-Thames, on the previous day. When the schoolgirl's decomposed remains were found, police used dental records to identify them as Milly's. The spot was about 25 miles away from where the teenager was last seen. She had phoned her father on 21 March 2002 to say she would be home in half an hour, but she disappeared near Walton-on-Thames railway station that afternoon, triggering a UK-wide search. After the loss of their daughter, Bob and Sally Dowler set up a charity in Milly's name which saw a series of high-profile safety initiatives launched. Mrs Dowler said the safety campaign had helped the family avoid falling into a black hole from which they might never resurface. And Mrs Dowler also spoke of the family's pain in not knowing how her daughter died "or where, or when, or by whose hand". The family went on to back renewed police appeals, including a reconstruction on the BBC's Crimewatch programme last year, that led to officers pursuing 97 new leads.